Hope Station, the railroad station that stands on Memorial Park, used to be known as Passenger Station in the early-to-mid 1900s. The portion of land that the station was built on was deeded to the Cumberland Valley Railroad Company in 1896. 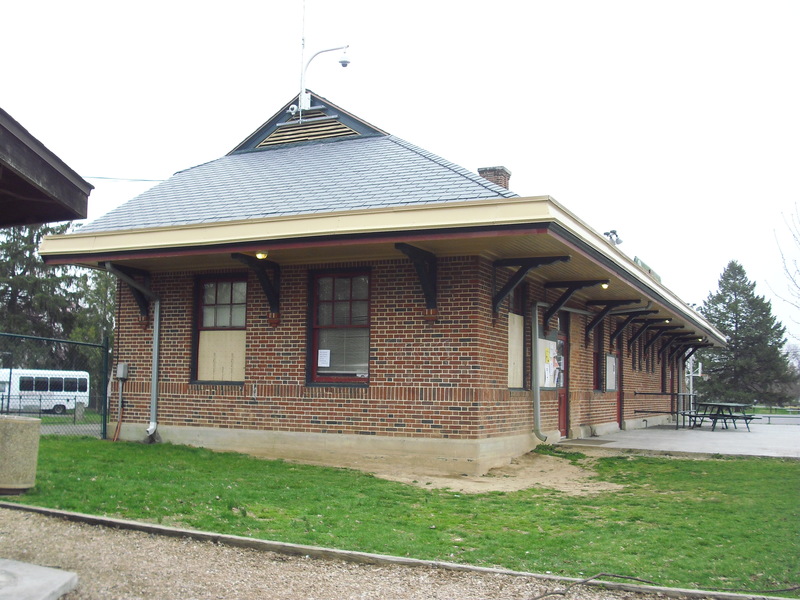 However, the station itself was not constructed on the land until 1936, suggesting that perhaps railroad tracks were already in existence at that particular location and that it was simply the building that needed to be erected. In the previous year, residents and merchants of Carlisle hoped to remove an older railroad from High Street, as they saw the track and station as a nuisance in that area. The Carlisle Borough manager thus submitted to the Federal Government the proposed project to remove the track. Shortly after submission, the proposal was approved and work to remove the station began in August of that same year. With the removal of the old station, however, came the need to build a new passenger railroad (P.R.R.) station (Hope Station) in a new location. It was determined that the new track and building would be located at West and Penn Street, and thus required acquisition of a small piece of property on Penn Street which, years later, became part of the Memorial Park property. 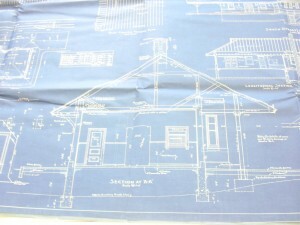 The floor plan of the new station was determined to be similar to that of the old station located on High Street for the sake of simplicity and time restrictions. 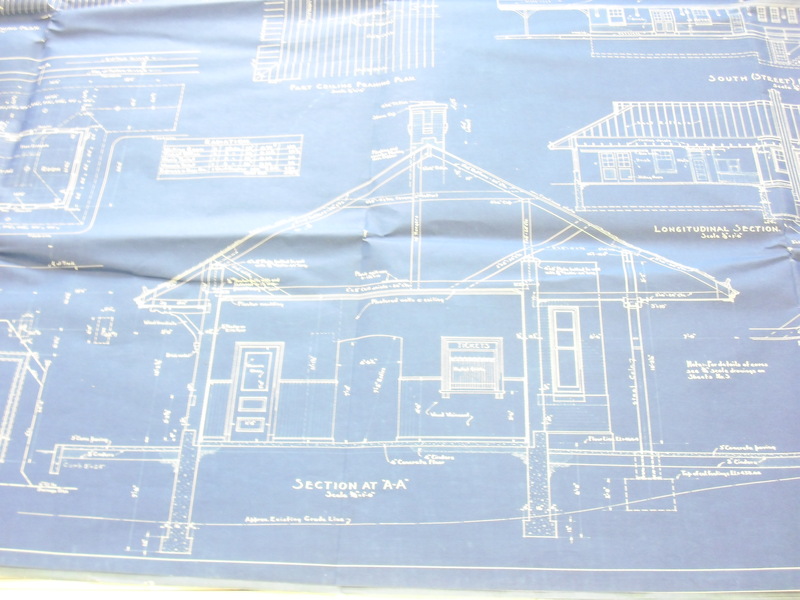 In October of 1936, construction of Passenger Station was not entirely complete, as an additional two weeks was needed to finish finer details and finish the parking lot and lawn. 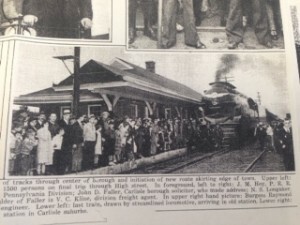 Nonetheless, it was sufficient enough to be utilized for its purpose, and as such, on October 16, 1936, a huge celebration took place in town where thousands of people showed up to witness the arrival of the first train into the new station. Decades later, in 1970, the railroad portion of the land that resided alongside Lincoln Cemetery was purchased with state and federal money for the purpose of being used as a space for passive recreation (out of sensitivity for the previous cemetery) within the proposed park. Thirty years later, in 2000, the Hope Station Opportunity Area Neighborhood Council obtained a grant from Allfirst Bank (now M&T Bank), and transformed the railroad station space into the central location for the nonprofit, Hope Station. Today, the station still acts as the nonprofit’s space for activities, education programs, and other community events. The Evening Sentinel. August 3, 1936. 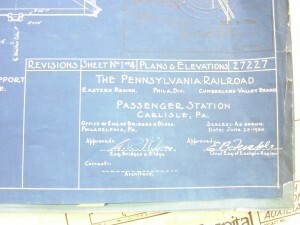 Accessed via “Railroads” drop file, Cumberland County Historical Society. The Evening Sentinel. August 5, 1936. Accessed via “Railroads” drop file, Cumberland County Historical Society. “The Agreement.” November 1935. Accessed via “Railroads” drop file, Cumberland County Historical Society. The Evening Sentinel. October 17, 1936. 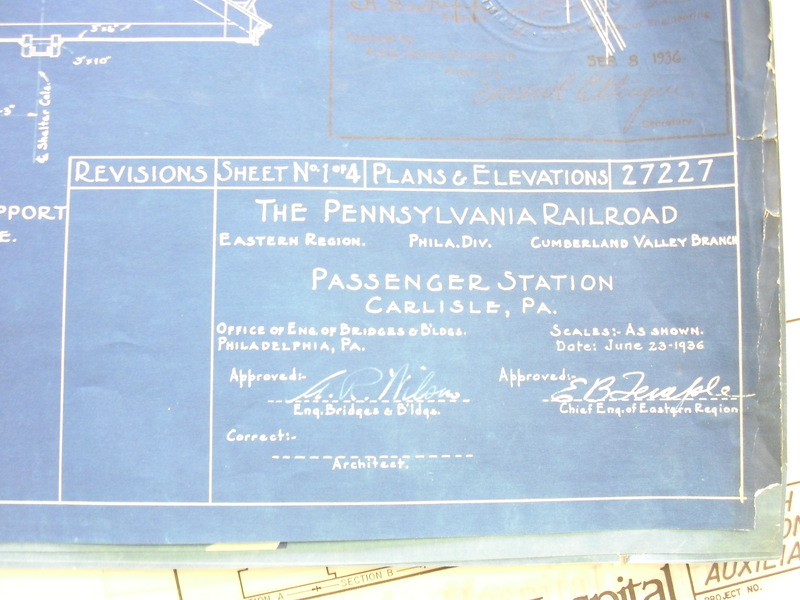 Accessed via: “Railroads” drop file, Cumberland County Historical Society. “Plans for Park Protested.” Evening Sentinel. November 18, 1971. Accessed via: “Lincoln Cemetery (Carlisle)” drop file, Cumberland County Historical Society. 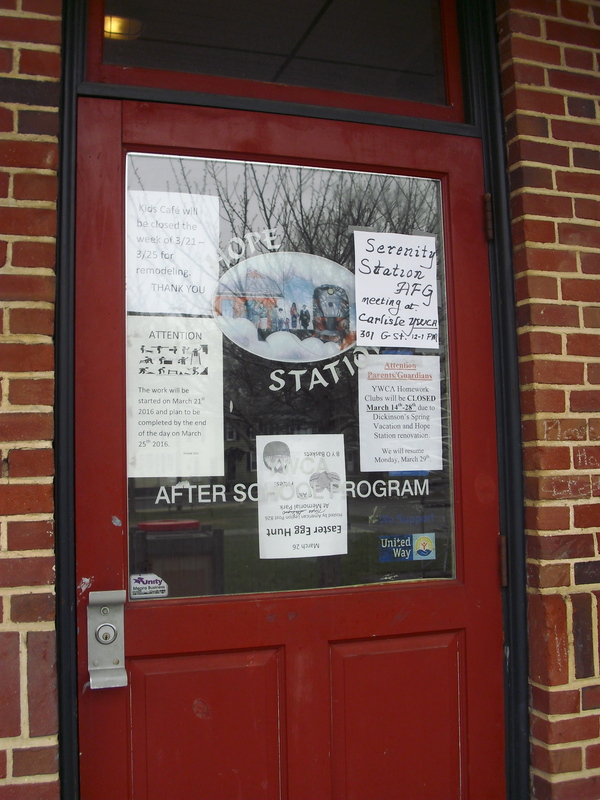 “The History of Hope Station,” Hope Station Opportunity Area – Carlisle, PA. Accessed April 21, 2016, http://www.hopestationcarlislepa.com/mission.php.